Poet - Susan Griffin Hill and Blues Guitarist - David Cole. Featured solo artist Shelley Lowenstein will "perform her art" in Touchstone's gallery most Friday and Saturday afternoons throughout June. Come meet the artist, discuss her new series of narrative paintings, and watch her paint. Websites for Artists, a Workshop by Sarah Knobel. Sarah Knobel, a Hamiltonian Fellow, web developer and web designer will lead a workshop on how to install and use Wordpress to make custom websites specifically for artists. The workshop will go over how to do basic installation, how to choose and install gallery plugins and how to choose, install and customize predesigned themes to meet your professional needs. *a webhosting plan and domain main name setup. Artists can purchase their domains from sites like GoDaddy.com. The cost for this workshop is $20 per person, and pizza will be provided. The workshop has a limit of 15 attendees. Required Registration opens on Wednesday, May 30th, at 10:00am. 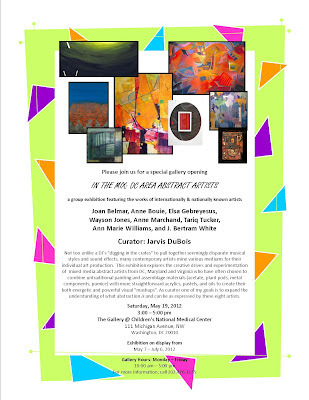 To register, please email Jacqueline Ionita, jackie [at] hamiltoniangallery.com. Katarzyna Majak explores the power of women as she searches for female wisdom and plurality of spiritual paths hidden within monoreligious Polish society. Katherine Blakeslee is a watercolorist whose new work is a continuing exploration of nature and places real and imaginary, familiar and strange, at home and abroad. She is fascinated by the connections between continents and peoples represented by the sea and the sky we share. Saturday, June 2, 2012 from 6-8 pm. 900 South Carolina Avenue, S.E. Our own wonderful Washington DC artist, Carlotta Hester! represented by Govinda Gallery. May 20th is the last chance to see Song 1 at the Hirshhorn Museum. Artists of every level need feedback in order to move forward. 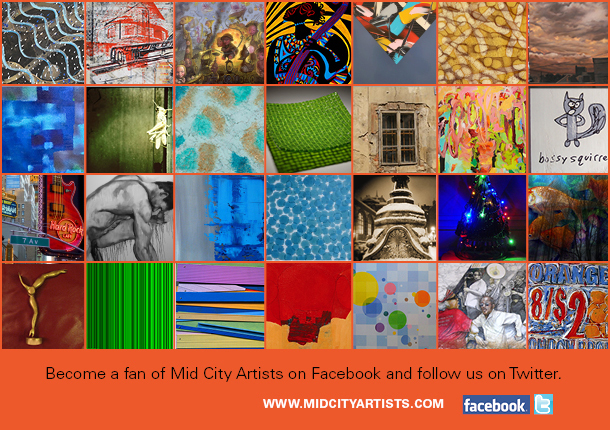 Student to Emerging to Established offers artists one on one sessions with experienced arts professionals. And, this portfolio review is for everyone, students and seasoned artists alike. This is a rare chance to hear what the person on the other side of the gallery desk has to say about how you present your artwork. Artists must sign up for one of three sessions, of which they will later be notified of their 25-minute time slot within the following session: 10am-12pm, 12pm-2pm, and 2pm-4pm. Portfolios on disc must be received by Saturday, May 19th to ensure review. Portfolios will be evaluated for completeness and sent onwards to our reviewers. We will then notify artists of their designated 25 minute slot within their selected session. Reviewers include: Margaret Boozer, Jarvis DuBois, Helen Frederick, Sheryl Ameen Fiegel, Katie Dell Kaufman, Michael McBride, Norman Parrish, Laura Roulet and Valerie Watson. Advance Registration Required REGISTER NOW!!! The Business of Art is presented by the Brentwood Arts Exchange and the Gateway Community Development Corporation and is sponsored by the Prince George's Arts and Humanities Council. Twenty-six members open their studio doors, free to the public, with lots of art, refreshments, music, fun! 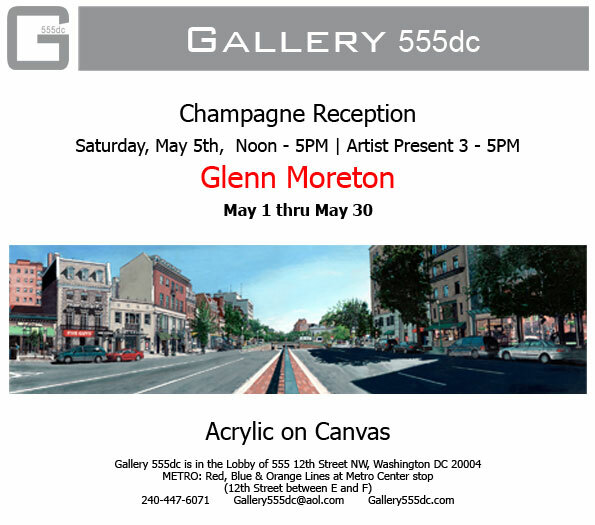 This bi-annual event in Washington, DC's Mid City – in and around the Dupont Circle and Logan Circle neighborhoods – offers a special opportunity for art-lovers to take a peek into the artists' creative process, connect personally with artists and learn more about how and where they make art, and purchase art as well. The participating artists represent a great diversity of work, including drawings, sculptures, paintings, prints, photographs and mixed media. Host to some of the city's hottest restaurants, galleries, interior design shops and fashion boutiques, the Mid City corridor is a thriving destination for the arts in DC. 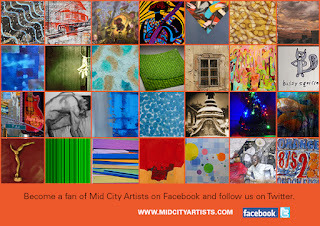 Spend your weekend visiting Mid City Artists and see the community on foot, bike or public transit. Check out the business supporters and eat, drink and shop as you go. Support the visual artists by purchasing some art for yourself, for an upcoming present, or for the young collector in your life. CRYSTAL CITY, VA (May 14, 2012) — This week marks the opening of Artomatic 2012, the Washington area’s biggest free creative arts event. Artomatic will feature work by more than 1300 artists, performers, musicians, filmmakers, fashion designers, and creatives of all kinds. Doors open to the public on Friday, May 18 at 6 p.m. at 1851 South Bell Street in Crystal City, Va., one block from the Crystal City Metro Station. The festival runs through Saturday, June 23. Artomatic is well known for transforming empty spaces into vibrant arts communities that celebrate creativity and create a unique and exciting event for tens of thousands of visitors - all free to the public. During the day, adults and children alike can participate in dozens of workshops and events. And at night, thousands of people descend on Artomatic to discover art, listen to music, and meet new people. This year’s venue spans more than 380,000 square feet of event space – the biggest ever Artomatic. The event will feature a café, food and drink stations, and an artist marketplace where visitors can purchase select works by artists participating in the event. · Wednesdays and Thursdays: noon – 10 p.m.
· Sundays: noon – 5 p.m.
For the latest information about Artomatic events visit the Artomatic website. New events will be posted weekly. The Crystal City Business Improvement District is a public-private partnership established in April 2006 to promote the vibrant Crystal City business, retail, restaurant and residential community. 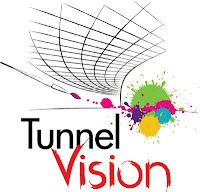 The BID is committed to showcasing the area as a world-class destination for visitors, employees and residents. Crystal City is ACTIVE, ARTFUL, ACCESSIBLE, and GREEN. For more information, visit www.crystalcity.org. Artomatic creates community, builds audience and expands economic development by transforming available space into a playground for artistic expression. 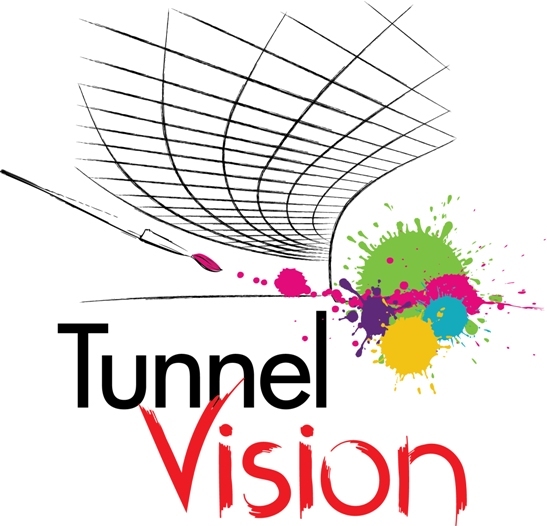 Open-entry events showcase creative work including visual art, music, film, performance, poetry and fashion. Artomatic is a non-profit organization headed by a volunteer Board of Directors and funded in part by the D.C. Commission on the Arts and Humanities, an agency supported by the National Endowment for the Arts. Other sponsors this year include the Washington City Paper and Ogilvy. For more information, visit www.artomatic.org. Artist Nat Jones is 14 years old and autistic. He has no verbal language and yet he paints elegant, sophisticated and colorful abstract works on paper. Nat has been painting for eight years and uses watercolors, pastels, crayons, markers, colored pencils and even his own saliva to mix the colors. They are meditative and transforming for both the artist and the viewer. Owner Alison Cavallaro remembers the first time she visited Nat's home..."This kid has complete freedom to express himself artistically with no boundaries or constraints." His parents, Tom and Liz encourage his artistic freedom and welcome the pleasure the process brings to Nat. He can work on a piece for a long time and then return to it hours or days later. He is often covered in paint and pastels when working and receives a lot of sensory input from selecting colors, feeling the brush as it moves to make strokes and the tactile input he gets from applying crayon, pastel or paint to paper. The palette Nat uses is elegant and the compositions are beautiful. There is a strong use of line and a delicacy in the application and layering. Alison Cavallaro has given Nat a prior show at Suburban and says "Because of his autism, Nat's world does not include the language of words..but he has stories to tell and he tells them beautifully through his art". The show continues through the end of the month. New in-ground sculpture garden designed from a former swimming pool. WASHINGTON, DC – The Zenith Gallery Salon has become a wonderland of art and imagination, and will open a fabulous new in-ground sculpture garden May 19th. Created from 100% recycled materials, the garden resides in a space formerly occupied by a swimming pool. The new garden will feature sculpture and sculptured furniture by well-known Zenith Artists, as well as, artists exhibiting with Zenith for the first time. Stop by for the show, as Spring is the perfect time to wander through the newly designed sculpture garden. New works by Peter Kephart will adorn the Zenith Gallery Salon. Artists featured in the exhibition: David Hubbard, Peter Kephart, Vince Magni, Donna M. McCullough, Paul Martin Wolff, Craig Schaffer and others. Pattie Porter Firestone and Colin Selig. Known for his captivating use of color, Rufino Tamayo created a unique form of modernism in Mexico. At the forefront of taking on the international/national and abstraction/figuration debates that preoccupied modern Mexican artists during 1920s and 1930s, he promoted a new type of abstract figuration that privileged personal myths while also engaging with issues of Mexican cultural identity. He challenged the monumentality, politicization, and institutionalization of mainstream Mexican Art of his time, especially Muralism, in which he also took part, to warn of the limits of nationalism and the necessity to incorporate internationalism/universalism into diverse aesthetic programs. Tamayo synthesized the aesthetics of the European vanguards with Mexican content and form in a dynamic tension. His refusal to be didactic, yet his insistence on promoting Mexican aesthetics and motifs, has had a profound legacy on the development of modernism in Mexico, the United States, and Europe, places he lived and worked throughout his life. Dr. Anna Indych – Lopez will discuss Tamayo’s various aesthetic influences, the contexts in which he worked, and the ways in which he constructed a new paradigm for Mexican painting. Reception at Gallery B will follow. Please RSVP to Stephanie Coppula at scoppula[at]bethesda.org. Friday, May 18, 6:00-8:00 p.m.
Washington DC artist Mona El Bayoumi says of this new work, “Subliminal seduction is a successful technique in the business world used to hypnotize consumers into making purchases. It is also used by the very powerful for political means.” These paintings are her yearlong exploration of how the “children of the dictators” turned upon their oppressors and using the newest tools of seduction, such as social media and the humor of the streets, began to break the codes of despotism. But like all seducers, El Bayoumi couches this message in beautifully painted images. Get the tools to talk about your work. Discussion on strategies to tailor your talking points – from the snappy elevator pitch to an engaging artist talk. Learn how to effectively get your point across – whether you’re talking to press, collectors, or fellow artists – with valuable advice from expert art professionals. The panel will include Michael O'Sullivan of the Washington Post and artists Zoe Charlton and Carol Brown Goldberg. State of Social Media: What’s Useful and What’s a Time Sink? Feeling tangled in the web of social media outlets? Join Sydney Skybetter at Flashpoint to learn how to navigate the world of social media and capitalize on the latest online marketing trends. Learn effective strategies for creating a virtual persona for your organization, how to tell a compelling story (in 140 characters or less!) and prioritize an ever-growing list of social media channels. CulturalDC's professional development initiatives and business centers at Flashpoint and Source are generously supported by the National Endowment for the Arts. Prints and Bronzes by Robert Cook. Works in this one-man show span over 30 years of the artist’s drive to interpret motion. With a secure grasp of the human and animal form, Cook, using the lost-wax process, transforms his subjects into pure and potent representations of their own energy and power. His bronzes divulge a remarkable sense of tension and strength, all ­revealed in the interplay between layers of stretched bronze and open spaces. Most notable is Cook’s understanding of not just a figure in motion, but also the humanistic urges and intentions that fuel the movement. Cooks prints are two dimensional rhythmic abstractions- chaotic, yet uncluttered, expressions of the figure and the space around it. His etchings and woodcuts are an undeniable indication of a lifelong and dedicated study of motion and the natural form across all mediums. Not too unlike a DJ's “digging in the crates” to pull together seemingly disparate musical styles and sound effects, many contemporary artists mine various mediums for their individual art production. This exhibition explores the creative drives and experimentation of mixed media abstract artists from DC, Maryland and Virginia who have often chosen to combine untraditional painting and assemblage materials (acetate, plant pods, metal components, pumice) with more straightforward acrylics, pastels, and oils to create their both energetic and powerful visual "mashups". As curator one of my goals is to expand the understanding of what abstraction is and can be as expressed by these eight artists. 17 Venues. 70 Studios. 120 Artists. On May 12th, over 120 Gateway Arts District Artists will open their studios to the public. Visitors are invited to interact one-on-one with local artists, see their work, and explore their studios, during this annual event. To learn more, visit www.gatewayopenstudios.org. THE ARTS AND THE MILITARY: TRANSFORMING WAR AND TRAUMA EXPERIENCES - A WEEKLONG EVENT IN THE NATION’S CAPITAL. Veterans traumatized by wars in Iraq and Afghanistan find healing through art. WASHINGTON—A new generation of artists is responding to the traumatic experiences of prolonged war, creating haunting and memorable work. For the first time, veteran and civilian artists at the forefront of this movement are coming together with national cultural institutions, art schools and the military community as part of the Arts, Military + Healing: A Collaborative Initiative (AMH). The weeklong FREE event takes place over seven locations, including the Library of Congress, National Air and Space Museum, and George Mason University. The program includes exhibitions, workshops, a film screening and a dance performance highlighting the therapeutic and healing benefits of the arts - for both the artist and the public, who have been affected by the wars in Iraq and Afghanistan. See schedule at www.artsandmilitary.org for specific times. Space is the Place invites two artists working in the field of installation to create new works responding to Carroll Square Gallery’s architecture and environment. Mariah Anne Johnson and John Watson negotiated the use and allocation of the gallery space for their individual projects. Each artist’s characteristic mode of operation is evidenced in his or her use of the space. Johnson’s folded fabrics grow in undulating forms along the wall. Watson’s construction builds from the floor into a complex labyrinth of reclaimed wood. Together their works create a charged environment for visitors to view and experience. SONG 1, perhaps one of the most monumental iterations of a total work of art, involves many creative disciplines and energies. Creators, critics, and experts gather to discuss topics at the convergence of art, architecture, music, cinema, and the urban landscape in a series of critical conversations. This program is free and seating is on a first come, first served basis. See www.hirshhorn.si.edu for the complete schedule. Bottom go to www.foggybottomassociation.com. Click on Arts in Foggy Bottom where you can download a map of the sculptures. Humanities' Executive Director, Lionell Thomas. This exhibition reveals the politically engaged side of Miro through some 120 paintings and works on paper that span his entire career. They reflect the artist's passionate response to one of the most turbulent periods in European history, which included two world wars, the Spanish Civil War, and the decades-long dictatorship of Francisco Franco in Spain. Through it all, Miro maintained a fierce devotion to his native Catalonia, a region in northern Spain. Reception: Friday, May 11 from 7 to 9 p.m. Civilian Art Projects presents three new exhibitions, including photographs by Cynthia Connolly, a video projection by Pamela Hadley, and, in the project space, new works on canvas and paper by Baltimore artist Cara Ober. Cynthia Connolly: The twelve photographs comprising the series Letters on Top of Buildings have been a work in progress since the artist was a child. She remembers riding in the backseat of her mother's car and feeling like "a flying bird" on the elevated freeways of the L.A. She enjoyed the solitude and focus of sitting in the back seat looking at the neon letters of old art deco buildings in Hollywood and downtown L.A. She recollects "Jesus Saves," "Hotel Roosevelt," and the "Fontenoy," buildings and signs no longer available to her. Accompanying the photographs will be "photographic grab-bags" of cards of each building that Connolly has letter pressed as a souvenir for patrons of the work. Civilian Art Projects presents Pop Deco, new works on canvas and paper by Baltimore artist, Cara Ober. In her second solo exhibition at the gallery, Ober continues to experiment with visual mash-ups, creating decorative images from vintage wallpaper, textiles, ancient artifacts, and home decor. In her newest body of work, the artist focuses exclusively on the patterns she has collected for many years in order to investigate their power. Rendered in a simple palette of black, white, and metallic paint, these ornamental embellishments are divorced from their original context and take on an iconic, totemic presence. Pamela Hadley: 14,000 ft.In addition to Letters On Top of Buildings and Pop Deco, Civilian presents a project by Pamela Hadley in the middle gallery space. Hadley's large-scale video projection on paper will be on view in the middle gallery. Hadley's work is influenced by a combination of imagery and process, concept and materials. While general themes include intimacy, alienation, emptiness, loss, strength and identity, specific narratives are intentionally obscured. Exhibition hours are Wednesday, Thursday, and Saturday from 1 to 6 p.m.
Fusions of lithographs, intaglios, and collagraphs, Donald Depuydt's works include haunting figurative and architectural references, rich textures, and mark making,both precise and spontaneous. Congratulations to the winners of FotoDC's National Cherry Blossom Photo Contest! You can see the winning pictures and the judge's favorites in the exhibit in the interior walkways. Don't miss your chance to see these gorgeous pictures displayed in the interior concourse that connects the Crystal City Metro to countless office and residential buildings as well as the Crystal City Shops. The Alternate Present will showcase Lisa Dillin’s recent sculptures. The works investigate the contrast between primitive and contemporary culture and the tension between the built environment and the natural world. Feeling tangled in the web of social media outlets? We can help. Join Sydney Skybetter at Flashpoint to learn how to navigate the world of social media and capitalize on the latest online marketing trends. Learn effective strategies for creating a virtual persona for your organization, how to tell a compelling story (in 140 characters or less!) and prioritize an ever-growing list of social media channels. Get the tools to talk about your work. We’ll discuss strategies to tailor your talking points — from the snappy elevator pitch to an engaging artist talk. Join us and The Studio Visit for a panel discussion about how to effectively get your point across — whether you’re talking to press, collectors, or fellow artists — that will provide valuable advice from expert art professionals. Peter's work is conceptual assemblage - found boxes or small painter's canvasses with tableaus of found objects and small plastic figures. Peter's pieces often feature found photographs, film negatives and lights. Peter explains, "To keep ourselves sane we insist that what we do has purpose and will last and ultimately that the world makes sense. In my art I try to point to the tenuousness of that found order, and draw attention to the randomness and transient nature of our world." More than two dozen potters will be selling their work at the 21st Annual Student Show at Hinckley Pottery on Sunday, May 6th from 11 a.m. to 5 p.m. 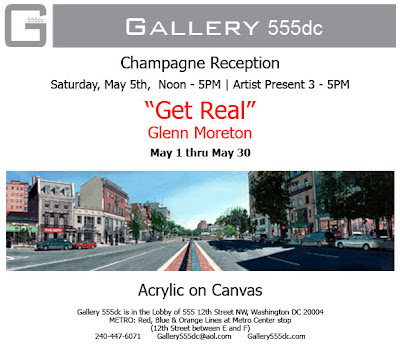 The studio is located in the heart of Adams Morgan at 1707 Kalorama Road, NW. The potters work in stoneware and porcelain and incorporate more than 30 different glazes ranging from vibrant blues and greens to ochre and rust earth tones. The show will feature platters, bowls, mugs, vases, teapots, and other vessels, and all of the pottery is meant to be used and enjoyed. Come and meet the potters, enjoy delicious food, and find one-of-a-kind, handmade gifts for housewarmings, Mother’s Day, graduations, weddings, and everyday use. More information can be found on Facebook: http://on.fb.me/potteryshow. 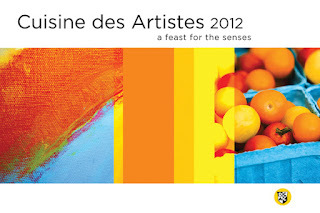 Buy your tickets for Cuisine des Artistes! Come and experience the biennial explosion of culinary and artistic talent in the setting of the beautiful mansion Meridian House. DCAC's unique dinner happening showcases the talent of 20 professional visual artists, 11 chefs paired with 11 visual artists and three performance artists. 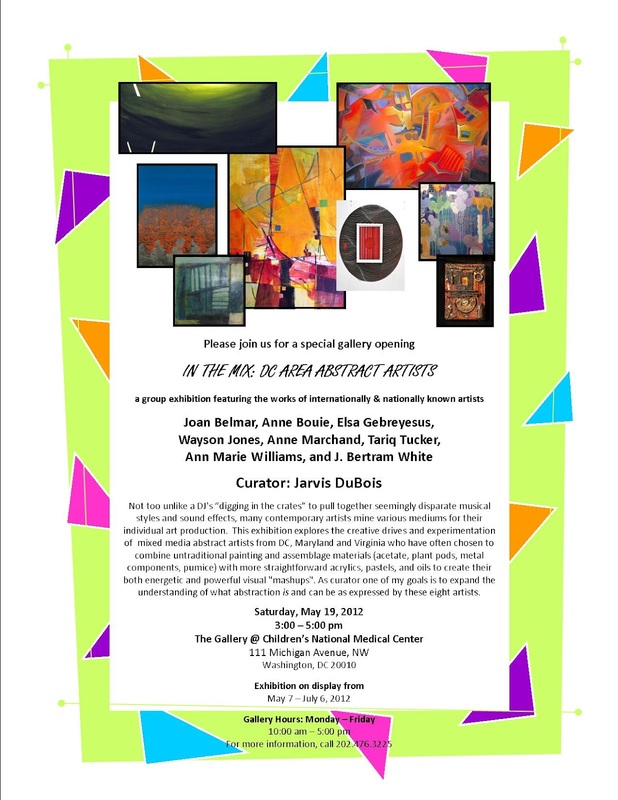 Share an evening of surprise and delight with some of Washington D.C.'s most talented artists! Tickets are selling quickly; purchase yours at http://cuisinedesartistes2012.charityhappenings.org/. For more information, email info[at]dcartscenter.org of call 202-462-7833 or visit www.dcartscenter.org/cuisine2012.htm. 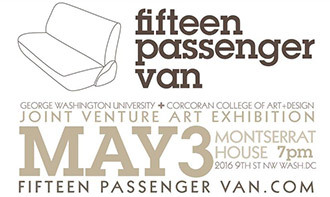 Teaming up for the first time, arts professionals Jayme McLellan and José Ruiz present Fifteen Passenger Van, a collaborative art exhibition featuring Professional Practices students from George Washington University's Fine Arts and Art History department and the Corcoran College of Art + Design's Fine Art Department. On view at the Montserrat House May 2 to May 3, this show is a rare undertaking and possibly the first of its kind between the schools. Fifteen Passenger Van provides a platform for these professional practices classmates to throw their hats, palettes, and anything else that would fit in the van, into DC's contemporary art scene. Following a semester of invigorating lessons on the business of being an artist, these GWU and CCA+D students are moving from the tried and tested waters of their school communities with works in all media onto a voyage that is best experienced collectively - reminding us that the whole is greater than the sum of its parts. Please join Civilian Art Projects for a talk with Colby Caldwell and poet Bernard Welt on the closing day of Colby's exhibition "spent." Colby Caldwell's spent series is photographic work based on shotgun shell casings of varying ages and in varying states of decay found throughout the rural farm where he lives in St. Mary's County, Maryland. Through scanning these shells at high resolution and presenting them on stark white backgrounds, the artist has imported what might be called "refuse" into the domain of photography, presenting the material almost as billboards touting memory and the passage of time. The Opening Reception on Thursday, May 3, 2012 will feature a special public Yappy Hour from 6:00 – 7:00 p.m. for dog owners to bring their pets to the exhibition. The reception is free and open to the public. 25 artists are going to the dogs in Strathmore Unleashed!, a new exhibition exploring man’s best friend through more than 60 multi media works in Strathmore’s Mansion and grounds, from April 28 through June 23, 2012. The exhibition takes a prismatic view of dogs – their societal significance, emotional and economic value and representation in art throughout history, as well as anthropomorphism. Initially inspired by the book Barkitecture by Fred Albert, Strathmore Unleashed! elevates the dog domicile to a fine art with five doghouse structures—from futuristic polypod structures to scale models inspired by the Sydney Opera House—accompanying the more than 60 works by 25 artists. 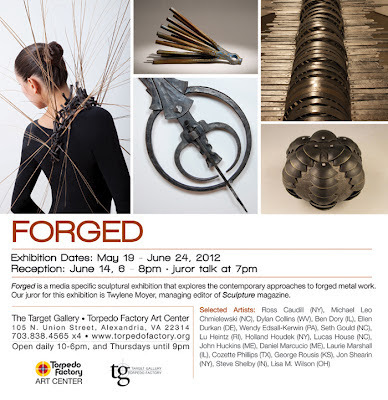 Highlights of the exhibition include weimaraner photographs by the iconic William Wegman; large scale installations by Massachusetts artist Dale Rogers; fiber sculpture by Ann Citron; painting by David Corcoran, Anna Dibble, Clair Hartmann and Heather LaHaise; a memorial assemblage by Donna McCullogh; mixed media works by Jackie Ehle; and video by Moira McLaughlin of Dog Art Today. Also featured in the exhibition are painters Kathryn Freeman, Kent Ambler, Shelila Cameron and Marjorie Weiss; sculptor John James Anderson; metalsmith Virginia Sperry; mixed media artist Jane O’Hara and Jeanne Drevas; woodworker Michael Brolly; and architects Dickson Carroll, Michael Leighton Beaman, Tom Gibbons, Zaneta Hong, Nina Lesser and Stephen Sheng. During six months, millions of travelers passing through Dulles International Airport will be able to visit a photographic exhibition organized by the Cultural Center of the Inter-American Development Bank (IDB) and the Metropolitan Washington Airport Authority's Arts Program. The show, The Big Picture: A Photography Exhibition in Celebration of the 20th Anniversary of the IDB Cultural Center, will be open to the public from May 2 through October 31, 2012 at the Gateway Gallery, located in the connector walkway between the AeroTrain C-Gates station and the C Concourse. Comprising 44 striking images from the IDB's permanent collection, as well as pieces previously shown at other art events held by the Washington, DC-based international finance institution, The Big Picture highlights Latin America's and the Caribbean's cultural wealth and diversity, as seen through the lens of 22 leading contemporary photographers from 13 countries. 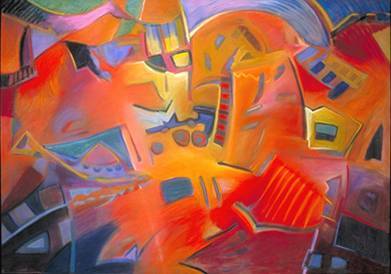 The works, which stand out for their quality and conceptual depth, were done using a variety of techniques, styles and formats. Curated by Debra Corrie, the exhibit includes photographs by artists such as Luis Gonzalez Palma of Guatemala, Sebastian Mello Salaberry of Costa Rica and Gerard Hanson of Jamaica. Experience 16 artists' responses to the increasing streams of information coming to us from an ever-growing array of devices and directions. 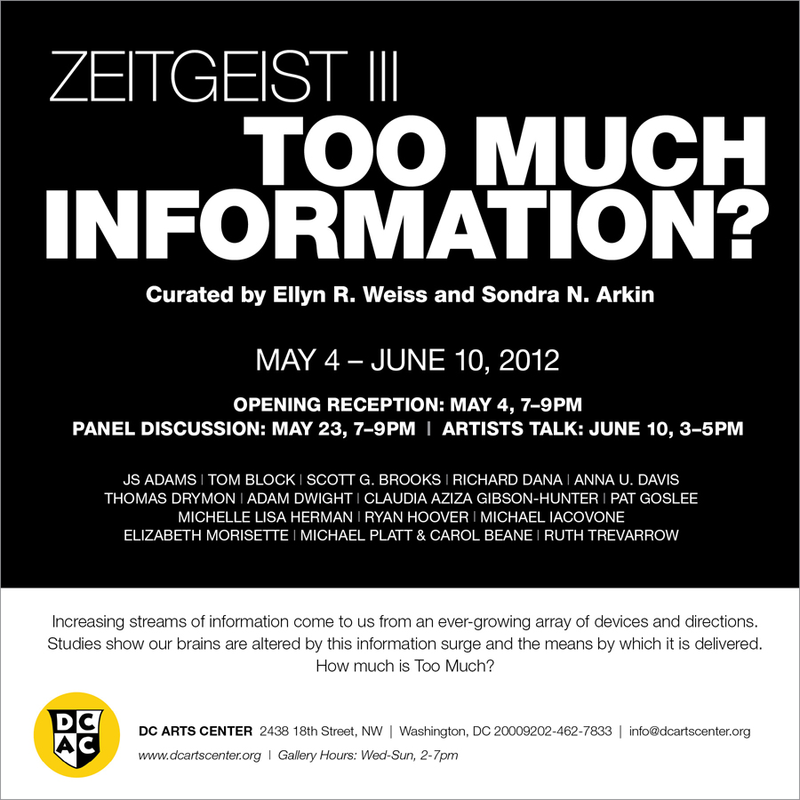 Zeitgeist III: Too Much Information? is the third in a series of periodic group exhibitions of visual artists exploring contemporary cultural themes curated by Ellyn Weiss and Sondra Arkin. Presented are the works of artists JS Adams, Tom Block, Scott G. Brooks, Richard Dana, Anna U. Davis, Thomas Drymon, Adam Dwight, Claudia Aziza Gibson-Hunter, Pat Goslee, Michelle Lisa Herman, Ryan Hoover, Michael Iocovone, Elizabeth Morisette, Michael Platt & Carol Beane, M.V. Jantzen and Ruth Trevarrow. Curatorial assistance by Amanda Jiron - Murphy. The Alternate Present will showcase Lisa Dillin’s recent sculptures. The works investigate the contrast between primitive and contemporary culture and the tension between the built environment and the natural world. One of Dillin’s central motifs is the contemporary office environment. The artist will incorporate materials such as Formica laminated MDF (medium density fiberboard), printed mirror and deconstructed vertical blinds. The exhibition will feature tree stump based side tables and a large wall-mounted cloud form inspired by modular cabinetry. The artist will also be giving a talk at the Smithsonian American Art Museum’s Luce Center on May 20 at 1:30 pm.